Over the last couple years, both the Citi ThankYou Rewards program and the cards that earn ThankYou points have changed quite a bit. New transfer partners have been added and sign-up bonuses have come and gone. Despite some negatives, ThankYou points remain a valuable transferable currency, especially for those looking to book award flights on international carriers. Today I’ll share the strategies you should consider when it comes time to put your hard-earned ThankYou points to use. You can earn ThankYou points from Citi credit cards in the ThankYou portfolio or from targeted account-opening bonuses (although actually receiving the bonuses can be a headache). The currency can also be earned through continued banking relationships and additional bonuses if you’re a CitiGold, Citi Priority or Citi Private Bank customer. The value of your points depends on which ThankYou points-earning credit card (or cards) you hold. Holding certain premium cards unlocks more capabilities for your points. Regardless of which card you have, you can always redeem points toward the revenue cost of airfare, hotels, cruises, gift cards or loan payments at a redemption value of at least 1 cent per point. As we’ll discuss in a moment, you can usually get the most value for your ThankYou points by transferring to one of the program’s 15 travel partners. However, in order to be able to transfer your points to a partner’s loyalty program, you must hold either the Citi Prestige or Citi Premier. As long as you hold one of those two cards, you can even combine your ThankYou points earned from one of the lower-tier cards in order to transfer those as well. If you only have the Citi Rewards+ Card (or the Student variety) or one of the AT&T Access cards, you will earn what we call “basic” ThankYou points. They’re worth a flat 1 cent each when redeemed toward travel, student loan repayments or mortgage payments and cannot be transferred to ThankYou travel partners. Since you’ll typically get the most value through transfers, let’s look at the two premium Citi ThankYou cards before considering some redemption options. In addition to these changes, the card will add cellphone protection for damage and theft on May 1. The Fourth Night Free benefit will be limited to twice per calendar year, including both the main card member and any authorized users. Earning on entertainment purchases will drop to just 1 point per dollar for all card holders (previously 2x for card holders that signed up before Sept. 2018). The annual fee will increase from $450 to to $495 for all card holders (until this point, card holders that signed up before Sept. 2018 were still at $450). However, the increased annual fee won’t impact Citigold and Private Bank clients, who’ll still pay $350 a year. All other benefits — including 3x points on hotel purchases, the Citi Price Rewind program, a Global Entry/TSA PreCheck application fee credit, trip delay insurance and missed event protection — are staying the same. The second-tier ThankYou points-earning card has an on-again, off-again sign-up bonus. The card is currently offering 50,000 points after you spend $4,000 in the first three months of account opening. The Premier Card earns 3x points on travel (including gas), 2x points on dining and entertainment and 1x point on all other spending. If you have the Premier Card, you can redeem your ThankYou points with Citi toward airfare at a rate of 1.25 cents each or transfer to any of the 15 travel partners. The card has a $95 annual fee that’s waived for the first year. With the earning side of ThankYou points explained, let’s look at the redemption options you should avoid, and those that will give you maximum value. Do not redeem your ThankYou points for statement credit, cash rewards or shop with points. These will all give you much less than 1 cent per point in value, which is on the low side compared to the redemptions I’ll discuss below. 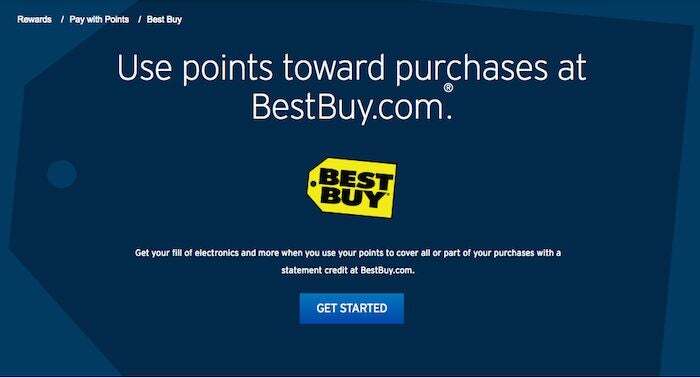 Paying directly with ThankYou points at BestBuy.com will give you less than 1 cent per point, compared to redeeming points for 1 cent each for Best Buy gift cards. We previously covered the rather poor possibilities of utilizing ThankYou points for Garuda Indonesia, EVA Air and Thai Airways. In addition, I can’t find good reasons to utilize Jet Airways, Malaysia Airlines or Qatar Privilege Club. You should avoid transferring to these partners except in unique and specific circumstances. This is due to several factors, including the amount of miles required, high fuel surcharges, and lengthy (read: frustrating) booking processes. It could be worth checking out these partners in very specific instances, but make sure you evaluate other options as well. Airlines typically treat tickets booked via the ThankYou travel portal as paid fares, which earn you redeemable and elite-qualifying miles. You can avoid one of the biggest hurdles to award travel bookings: availability. Book any seat on almost any flight you want using your ThankYou points. It’s simple. No need to crunch the numbers to make sure you’re getting a solid value; it’s straight-forward and consistent, no matter your airline, dates or route. If you have fixed travel dates and need flights on those dates but are struggling to find award availability, redeeming points at a fixed value of more than 1 cent per point is a great option to keep cash in your pocket. 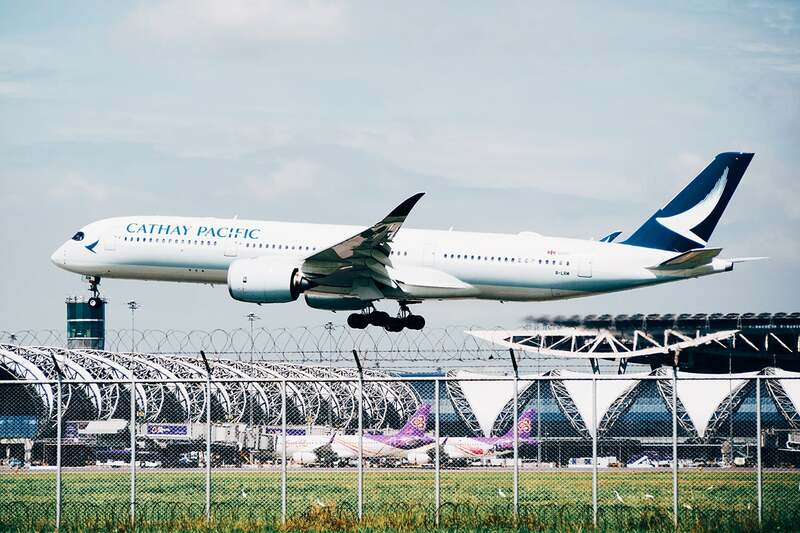 Cathay Pacific’s Asia Miles program has some very interesting redemption opportunities, thanks to how it defines regions and routing rules. The hold-up to making it a maximum value redemption is the significant amount of effort often required to decipher the complex rules and get an actual ticket booked. The June 2018 program changes also increased the cost of premium cabin redemptions and made the online booking engine less useful. Another strike against the program: there’s still no award chart for itineraries consisting of only a single partner airline. That being said, there are some decent values to be had. You can book round-trip business class to Europe for 100,000 miles, and a one-way to Europe with a stopover is only 50,000 miles. Dozens of gems are waiting to be discovered in the program’s complex rules, which even phone agents don’t always know. If you’re willing to put in the effort, this could be a maximum-value redemption. Because so few take advantage, though, I’ll keep it in the decent-value category. There are several fantastic uses of the Air France/KLM loyalty program, but recent program changes have made them more difficult to find. With the program’s dynamic pricing model, we aren’t exactly sure what Flying Blue award tickets are going to cost until you actually search, making it hard to proactively set a goal and then work towards that account balance. However, you can get some decent value from the program’s promo awards that rotate on a regular basis and typically offer 25% – 50% off economy or business-class awards from specific North American gateways to Europe and beyond. 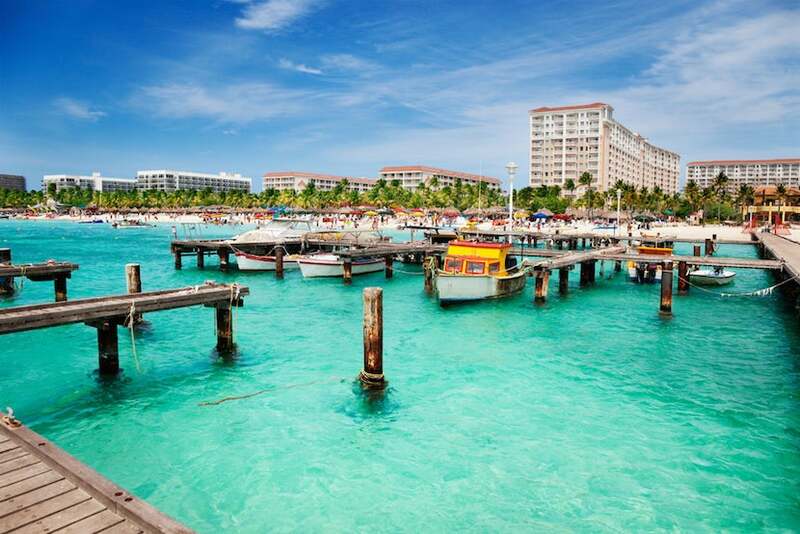 Fly to Aruba for 29,000 Flying Blue miles round trip from Atlanta (ATL) on Delta. The program also allows you to visit far-flung places like Papau New Guinea on partner Aircalin, and you can utilize creative routings to lower the price of your ticket or potentially add additional segments at no extra charge. Unfortunately, fuel surcharges can be a real headache with the program, and they increase for premium cabin redemptions. Flying Blue isn’t the program it was, but if you catch a promo award or find award space on a Delta-operated routes (you may need to call for domestic flights), the program can yield good value. South American airline Avianca has a loyalty program called LifeMiles which is one of the most undervalued airline loyalty programs. Late in 2017, Citi added LifeMiles as a transfer partner and even routinely offers transfer bonuses for the program. There are many routes worth investigating, but perhaps the best is 7,500-mile domestic short-haul flights on Star Alliance partner United. You can even book Lufthansa first class to Europe for 87,000 miles one-way with no fuel surcharges. The Star Alliance partner award chart is full of reasonably priced award routings, and you can routinely buy LifeMiles at a reasonable price compared to the value these redemptions offer. The more time you spend on the LifeMiles award booking engine, the more familiar you become with some of the nuances and great value the program offers. If you are not familiar with this Citi transfer partner, now is a great time to create an account and search a few of your upcoming routes to see what value the program can offer you. Singapore Suites and Singapore first class continue to be some of the top products in the sky, and they’re easily accessible via Singapore Airlines’ own KrisFlyer program. Even after the recent award chart changes, prices are relatively reasonable for Singapore’s first class routes servicing the US, including New York-JFK to Frankfurt (FRA) for 86,000 miles in Suites class and Los Angeles (LAX) to Tokyo-Narita (NRT) for 107,000 miles in Suites class. Even if your desired routing or class of service isn’t open at the time of booking, you can easily waitlist for a better award. Singapore KrisFlyer also has a few sweet spots for booking Star Alliance routes, including 35,000 miles in economy or 60,000 miles in business for a round-trip award from the US to Hawaii on United. By transferring to this program, you can use ThankYou points to fly United to Hawaii for fewer miles than what United’s own program charges. I’m a huge advocate of the Etihad Guest program. 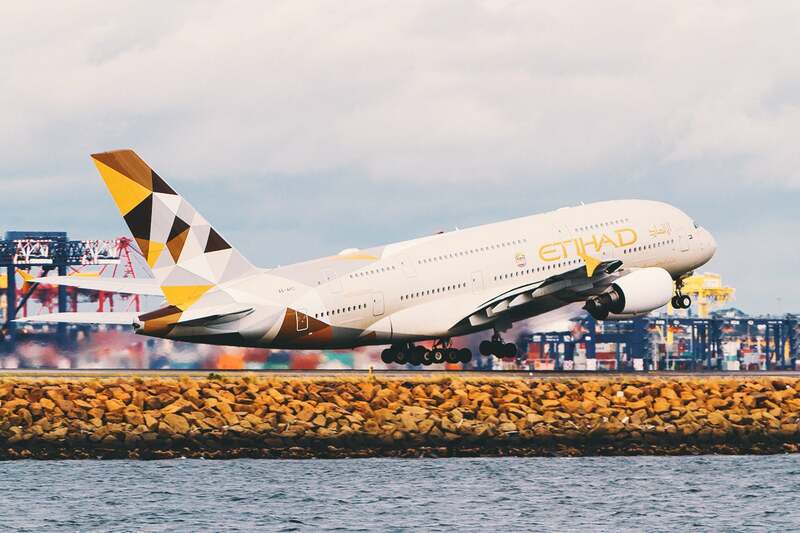 You can fly almost anywhere in the world for incredibly reasonable prices utilizing only Etihad Guest miles and the airline’s wide array of partner programs. This includes routes and airlines you didn’t know existed, like Royal Air Maroc’s Dreamliner service to Africa from New York-JFK to Casablanca (CMN) for only 44,000 miles in business each way. Most applicable to us here in the States is the ability to book awards on Etihad partner American at pre-AAdvantage devaluation prices. While American increased the rates of its own award tickets, Etihad has not updated the Etihad Guest American award chart. You can still fly American’s business class one-way to Europe, Japan or South Korea by transferring 50,000 ThankYou points to Etihad. I’ve recounted many ways you can utilize Virgin Atlantic miles for maximum value, so they easily earn a place in the fantastic redemption category. Air New Zealand and Delta routinely produce incredible redemption opportunities for long-haul business flights with relatively small amounts of miles, such as 50,000 Virgin Atlantic miles for the new Delta One Suite between the US and Europe or 62,500 miles for Air New Zealand business class one-way from Auckland to the US. Virgin also charges a flat 12,500 miles for Delta domestic flights regardless of what Delta is charging; I’ve seen these awards price at upwards of 30,000 SkyMiles for the same flight. For more details on this partner, listen to me discussing the best Virgin Atlantic redemptions with TPG on the Talking Points podcast. As with most transferable point loyalty programs, you’ll almost always get the biggest bang for your buck when you transfer your Citi ThankYou points to partner programs. Many award travelers often overlook the Citi ThankYou program or undervalue its points, which is really a shame. If you were to only consider Virgin Atlantic and Etihad Guest and their respective partners when deciding how to redeem your ThankYou points, you could reach almost any destination in the world, and many award tickets would be very reasonably priced. Add in all the other transfer possibilities, and there’s no such thing as too many ThankYou points.